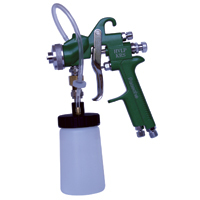 Model 300 Spray gun is a low-pressure spray gun and can be used with the D2000 or D4000 compressors. It gives you a flat 5-6 inch spray pattern for quick even application. Application time is reduced by 5-10 mins. 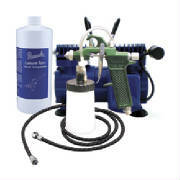 Pro 1000 Basic home & salon Airbrush Tanning System features the D500 Air Compressor with ON/OFF switch. 20-40 PSI with oil less pistons. Airbrush Pen, 8ft Braided Hose, (2) 3 oz bottles, 1/2 gallon 8% DHA solution and basic training Instructions. Our aim is to supply all that you need, whether you are just starting out or upgrading your existing system. 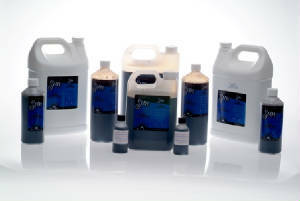 So call us today so we can recommend the right products for your needs. Pro 4000 Complete Tropical Sun Airbrush Tanning System features the D400 piston compressor with regulator and moisture trap. 35-50 PSI. This Professional compressor is quieter and comes with an auto shut off switch, which turns the compressor off while you are not spraying. Includes Airbrush Gun ( with 5-6" spray) and Tools, 10ft Braided Hose, (1) 6 oz bottle, 1/2 gallon of 8% DHA solution and basic training Instructions. Excellent for Professional Salon use. So call us today so we may recommend the right products for your use. Tropical Sun USA has an exclusive DHA solution. It's produced and shipped fresh to insure maximum shelf life. We supply the 8% (medium) and 10% (dark), and 10% Competition Dark (extra dark). Add intensity drops to further deepen your tanning experience. 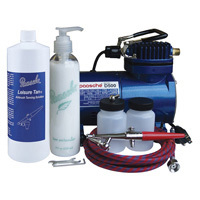 Pro 3000 Deluxe Salon Airbrush Tanning System features an Air Compressor with on/off switch. 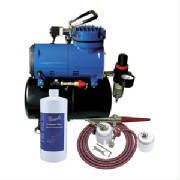 This compact and portable compressor includes High spec. with a max of 40 PSI, a regulator and moisture trap to reduce pulsation. This Model features a special locknut to allow solution bottle to lock onto the brush. Also included are Airbrush Pen, 10ft Braided Hose, (2) 3 oz bottles, 1/2 gallon of 8% DHA Solution, and basic training Instructions. Our goal is to supply all that you need, whether you are just starting out or upgrading your existing system. Call us today for further details so we may recommend the right product for you.